Forrás: Daily Mail. Szerző: Olivia Fleming. 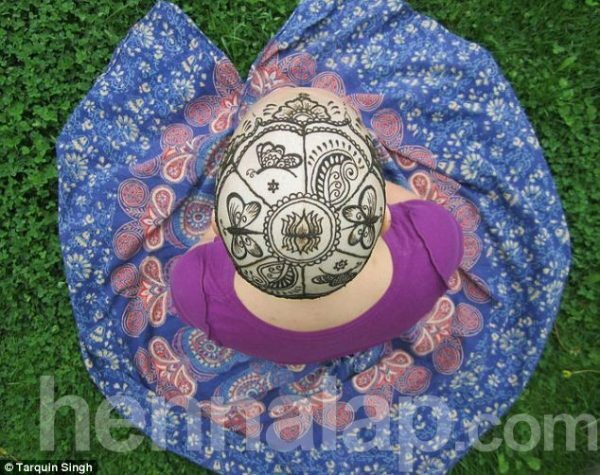 Frances Darwin launched Henna Heals last year, where artists hand-paint intricate designs onto women’s scalps with a natural plant-based paste, giving them back their femininity, confidence and power. 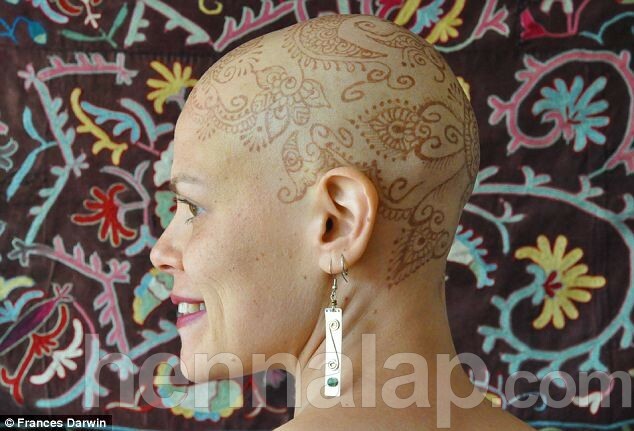 Using a hairless head as a canvas, ‘the designs are customized and one-off works of art,’ Ms Darwin told Today, who wants to empower cancer sufferers to feel beautiful again. 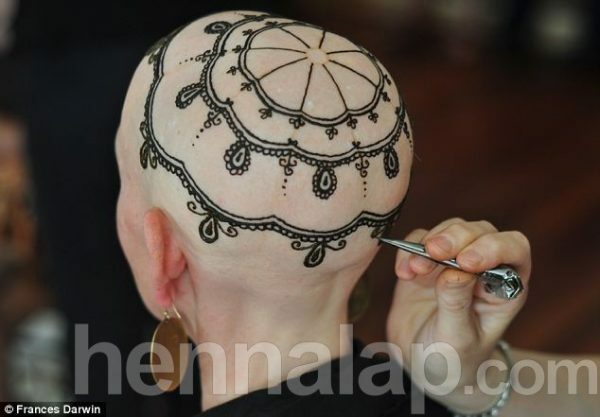 Ms Darwin’s Henna Heals is on a path to make conditional female baldness not only acceptable, but also chic. 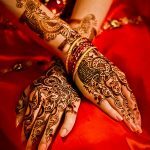 Ms Darwin was inspired to start Henna Heals when she first saw the henna crown’s power to transform.